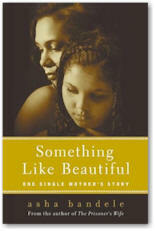 Thoroughly enjoyed Something Like Beautiful: One Single Mother’s Story by asha bandele. You don’t have to be a single mother, mother, or even single to appreciate this story. 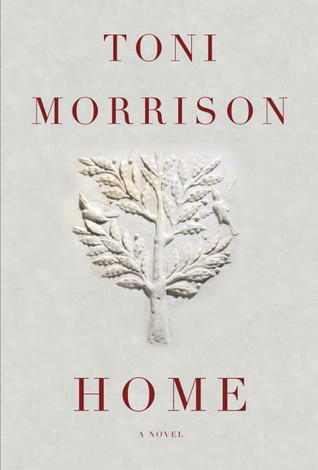 Told with exacting prose and humility, asha delivers this text with a refined and well-honed grace and poise. Bandele is transparent and expressive in her need for personal healing as well as her fully disclosed attempts at wholeness. When I finished reading this book, I got up and hugged my youngest child tighter and longer. Ms. Bandele even retweeted my response. 🙂 Beautiful indeed! 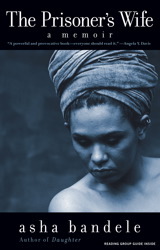 The Prisoner’s Wife by asha bandele was an absolutely gorgeous read! I really enjoyed asha’s almost effortless delivery of prose and poetry. Her style is inventive, nonconforming, and unapologetic. 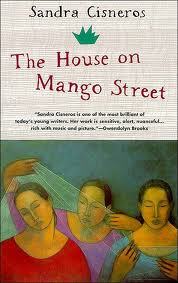 House on Mango Street by Sandra Cisneros. Colorful, resonant, familiar and warm all at once. Inarguably, Cisneros is among one of the best storytellers. The Broken Wings by Kahlil Gibran, Lebanese poet and writer (1883-1931), what a beautiful read! The ending is tragic, but the inspiration on Love and Life, and the evil that men do to compromise those seeking to attain it, bodes well with me against the backdrop of a love-starved world. Some of the pondering on the stations of men and women, with regards to arranged marriages, bearing children, political and religious leadership also provides some food for thought. The prose and poetry are lyrical, and reads like a beautiful song in just 128 pages. Indeed. I’ll need to read The Broken Wings again. Thanks for sharing this. Glad to see that someone else is familiar with some of Kahlil Gibran’s work. Thank you for stopping by. I plan to update this page a bit more regularly. Thanks for the ‘gentle’ reminder. This is a GREAT post. So rich, ripe and ready to burst with information. I am, of course, taking note of the books to peruse at a later date. I adore Toni Morrison, my favorite book by her is Beloved. She is food for the spirit and candy for the mind lol. I saw Mother and Child and thought it was a wonderful movie. Kerry Washington’s performance was fantastic, the hospital scene almost killed me. A wonderful, authentic and raw story. You’re most welcome! I’m just seeing this comment, so I apologize for the delay. I hope to update this page on a more regular basis. I’m reading quite a few books now (don’t ask me how I get the time between making hats, and keeping up with these children’s schedules, and writing) that I’d love to report back on. Mother and Child was such a tear jerker, I know! I love rich stories, and that definitely was a good one.